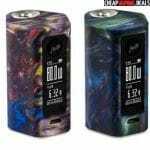 Check out this discount for the Wismec Reuleaux RXmini Resin Version. With the new Resin version, the RXMini has a new brand new look that is sure to turn heads due to its psychedellic patterns. 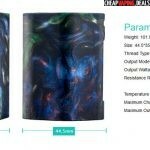 This unit is also portable, can put out up to 80 watts, is made with a built-in battery that has a 2100mAh capacity and is capable of temperature control with all types of coils at low resistance. 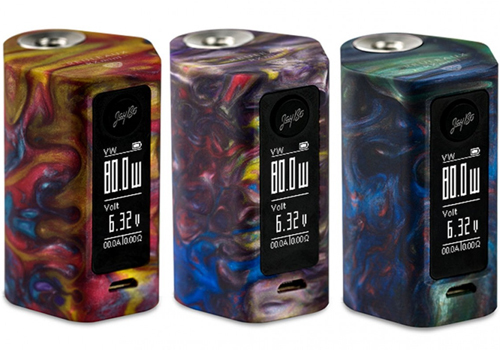 The RXMini Resin is a miniature version of the much larger RX line of devices that included the RX2/3, RX200 and RX200S. Made by Wismec based on JayBo’s design, the device is portable because of dimensions that come in at only 44.5mm x 35.5mm x 58.0mm. And it is ergonomic, lightweight and easy to operate. The regular version is available in white, red, grey, black or silver. 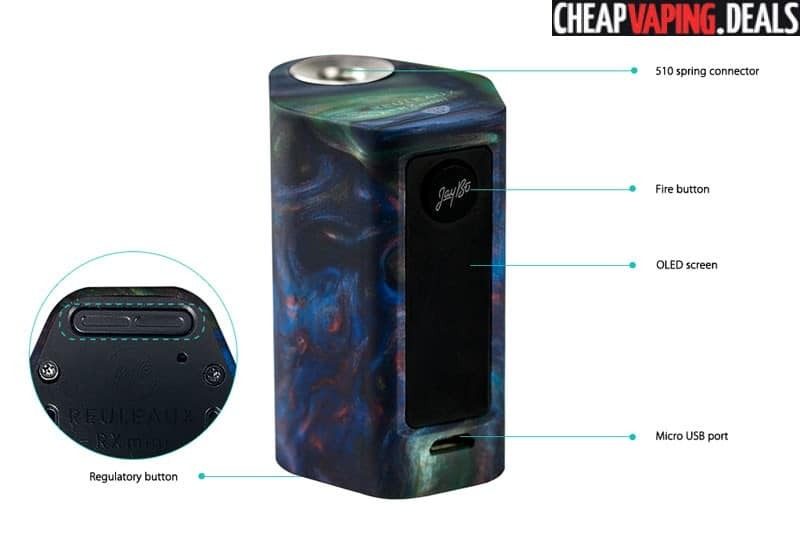 But, this Resin RXMini features a more durable finish, making it lighter and also more fashionable due to its psychedellic patterns that are unique to each mod. The RXMIni has mostly identical features if compared to the other RX series of box mods. But, due to the smaller size, the device is capable of only 80 watts. Other than that, all the capabilities are the same such as the unit’s low resistance of 0.05ohm in temperature modes in the range of 200 to 600 degrees Fahrenheit. 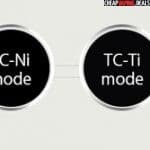 Operating modes include bypass, power, temperature nickel, temperature stainless steel, temperature titanium and the most precise TCR mode. An OLED can be found on the front of the RXMini Resin Version and it features an identical menu to the RX200S and RX2/3. The indicators include mode, battery level, temperature/wattage, amperage and resistance in a vertical orientation. Above the display, you’ll see the fire button and underneath the screen, a micro USB port allows for on-board charging and firmware upgrades. The battery that powers this RXMini has a maximum capacity of 2100mAh which should give plenty of vaping time at 80 watts of output. To adjust the settings of the mini Resin mod, you’ll need to use the buttons that can be found on the bottom. Here, you will also see a factory reset button in case your mod fails to power up due to changes to its operating system.